Crock Pot Chili - Recipes That Crock! 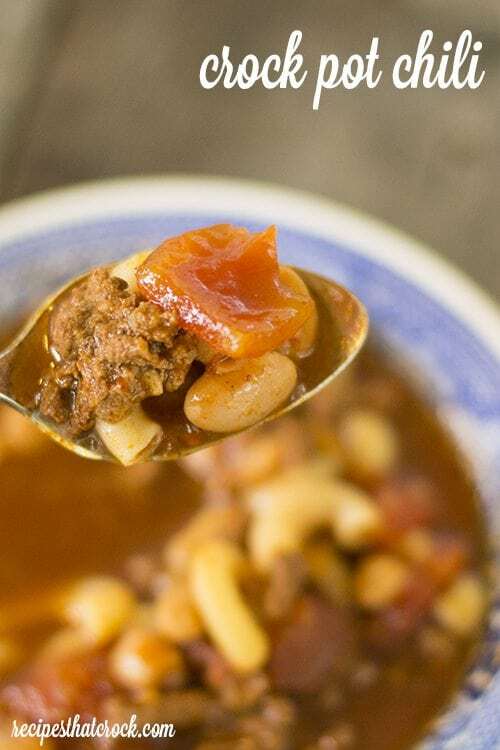 Flavorful tomatoes, really great chili powder, ground beef and northern chili beans make up this hearty fall favorite, our very favorite Crock Pot Chili recipe. Yes, yes it is true. I grew up in southern Indiana and I never knew that people would ever think to make a pot of chili without noodles. If I ever saw a pot of chili meat without beans or noodles I would have just thought it wasn’t ready yet. Now, since moving a little further north and getting to know others with different chili beliefs than those of my childhood, I have become much more aware of my disturbing chili habits. So, now when I make chili for others, I make my noodles separate and leave them as an option for my kindred spirits. (Note: If you want to keep a bowl of noodles on the side, boil then drain, rinse with cold water and drain again. They won’t stick together as badly and will be the perfect add-in for the adventurous folks). As for beans… well I don’t know what to tell ya other than a chili bean is made for chili… and so, while we can discuss which bean should go in (I prefer Northern Chili Beans), there will always be beans in my chili. I’m sorry. I was born a bean fan. If you have strong feelings about beans though, you can leave them out and I won’t judge you… too much ;). One more note before I leave you to all the deliciousness… if you have not found a chili powder that completes you yet… let me introduce you to my friend Chili Con Carne. It will change your chili for life. But it will also ruin you. 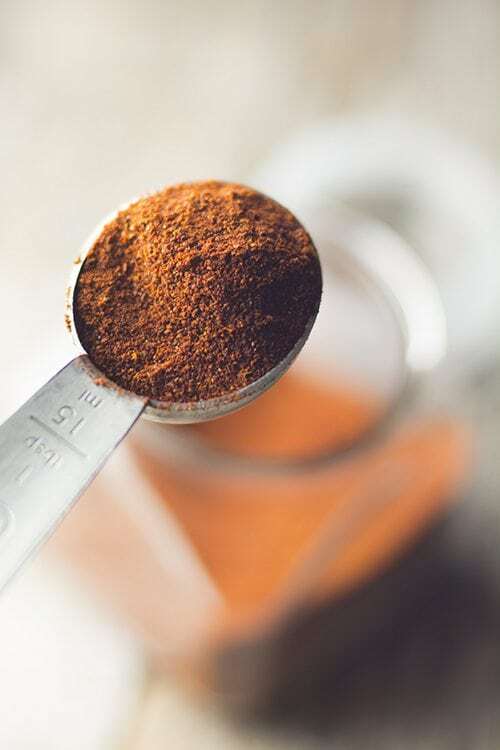 You will never be able to go back to regular old chili powder again. It is a life choice you are going to have to make: Live forever without trying or try and have to have it from now on. A slow cooker spin on my childhood chili. Flavorful tomatoes, beef and northern chili beans make this recipe a family favorite. Brown ground beef with 1 Tbsp of chili powder, onion and garlic and drain. Add beef mixture to remaining ingredients (except pasta) in slow cooker. Stir in pasta before serving if desired.